Game time is a favorite at our house! Sometimes we have game time instead of school. I know! We live on the edge over here. I’ve found that playing a game with my little ones is a wonderful way to bond and to learn together. They look forward to our fun school time every day. 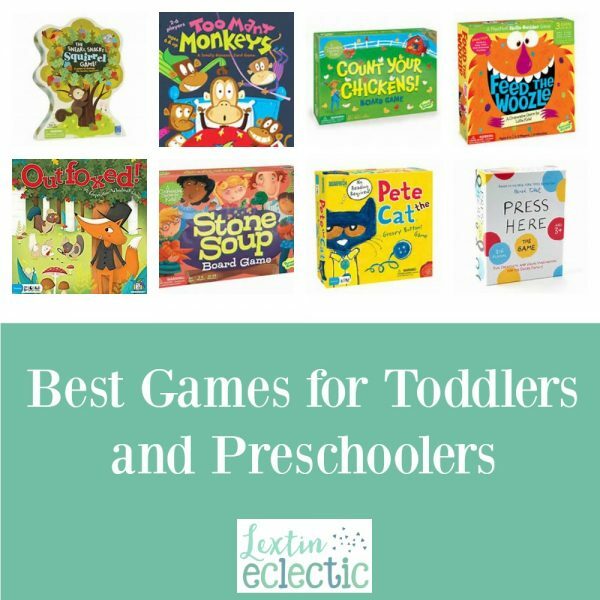 If you need help stocking up your game closet with some ideas for your little people, I’ve created a list of some of the games that I think are best for that age group. Enjoy some family fun with game schooling! !